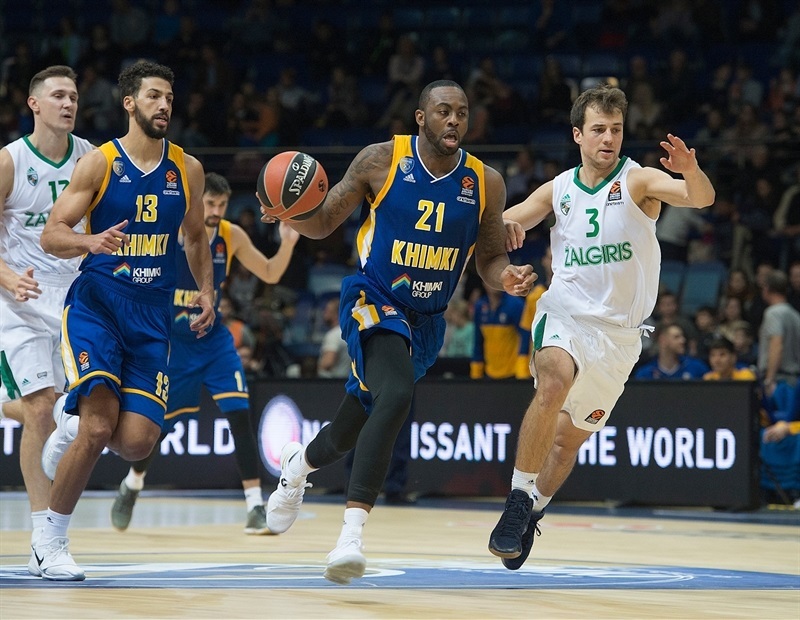 Khimki Moscow Region made it two wins in as many home games after running away from Zalgiris Kaunas by 85-77 on Friday. 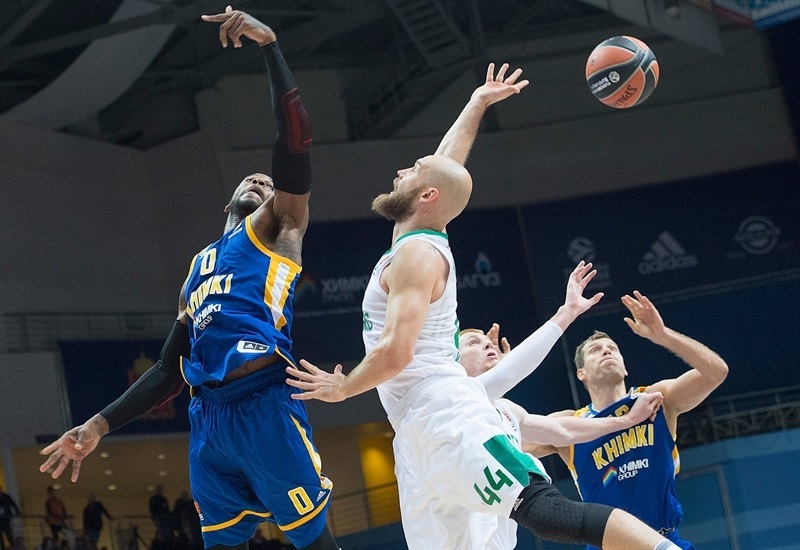 It marked the first time in five EuroLeague seasons that Khimki has started 2-0, while Zalgiris fell to 1-1. 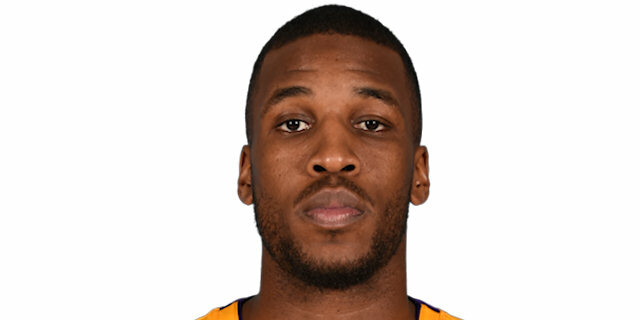 An early 11-0 run gave the hosts control of the scoreboard and they never looked back after that as Thomas Robinson led four double-digit scorers with 19 points and pulled 10 rebounds, as well. 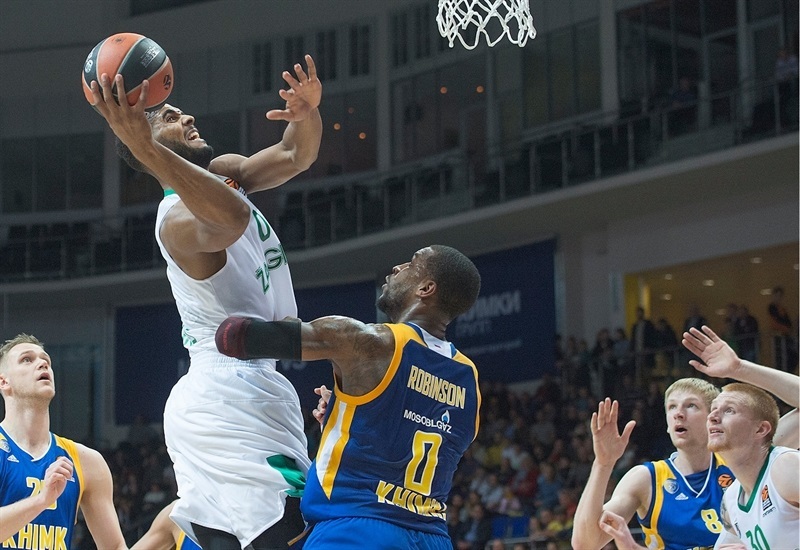 Alexey Shved scored 16 more, while Malcolm Thomas had 14 and Anthony Gill 10. 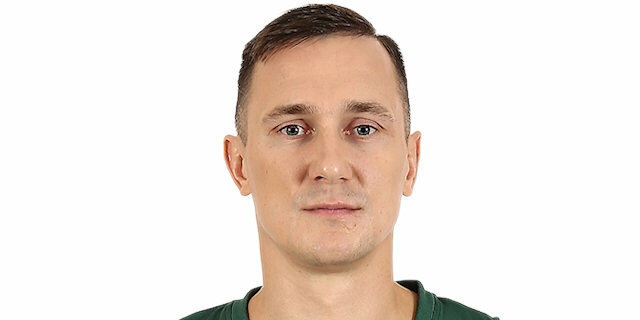 It was a record night for Paulius Jankunas of Zalgiris, who jumped two spots from 10th place before the game on the EuroLeague's all-time scoring list. 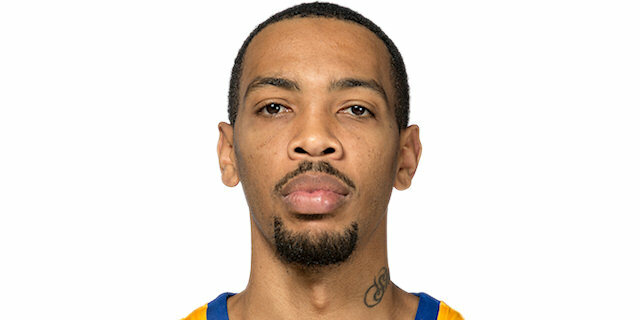 His 16 points at halftime put him past one legend, Dimitris Diamantidis, and tied him with another, Mike Batiste. Then his first score after halftime put Jankunas in eighth place with 2,504 career points after he finished with a team-high 24. 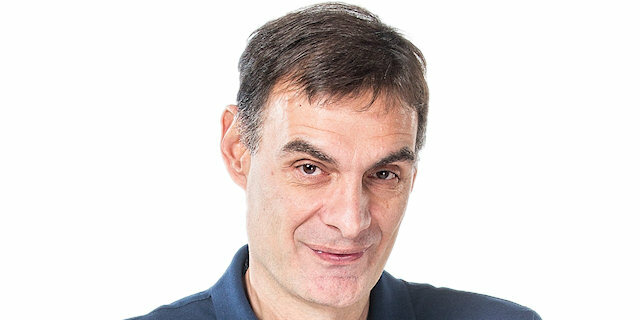 His 14 of 14 free throws tied the fourth-most in EuroLeague history, as well. 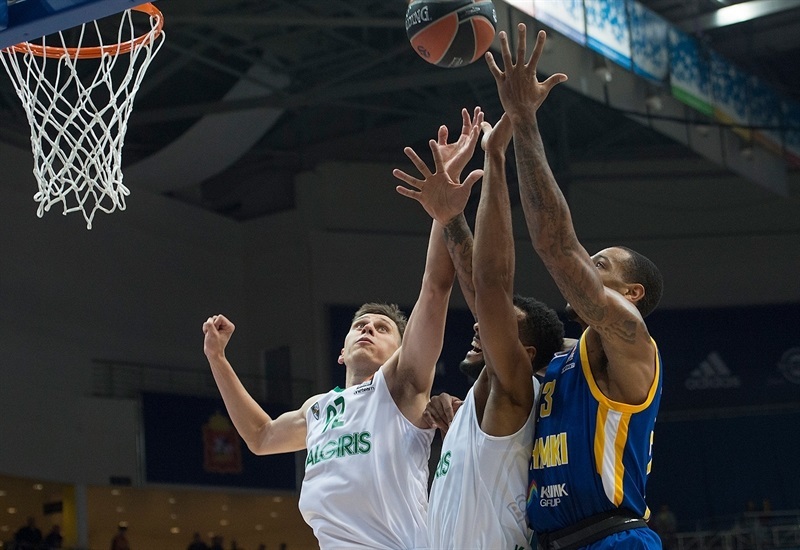 Aaron White added 16 points and Axel Toupane 13 for Zalgiris. 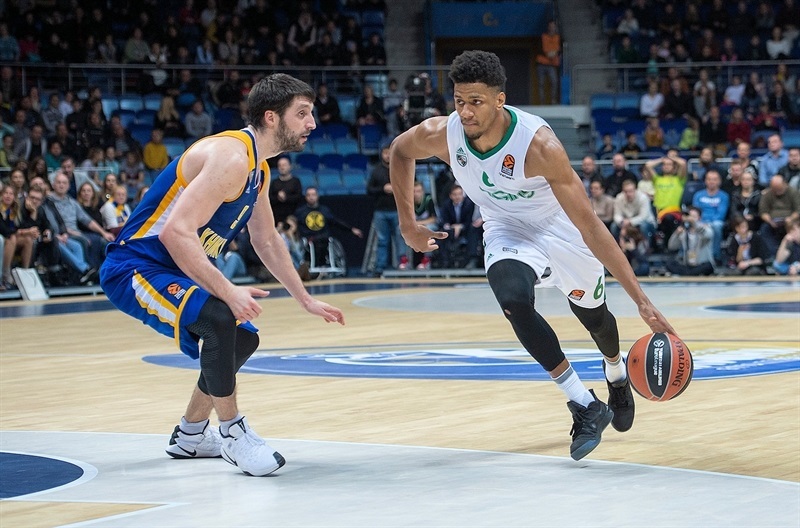 Despite its ability to cut the difference to 6 near the end, 0-for-14 three-point shooting through the first 32 minutes hurt Zalgiris too much. Jankunas sandwiched an inside basket and free throws around a breakaway dunk by Brandon Davies on the first of 3 consecutive Zalgiris steals for a 0-6 lead. 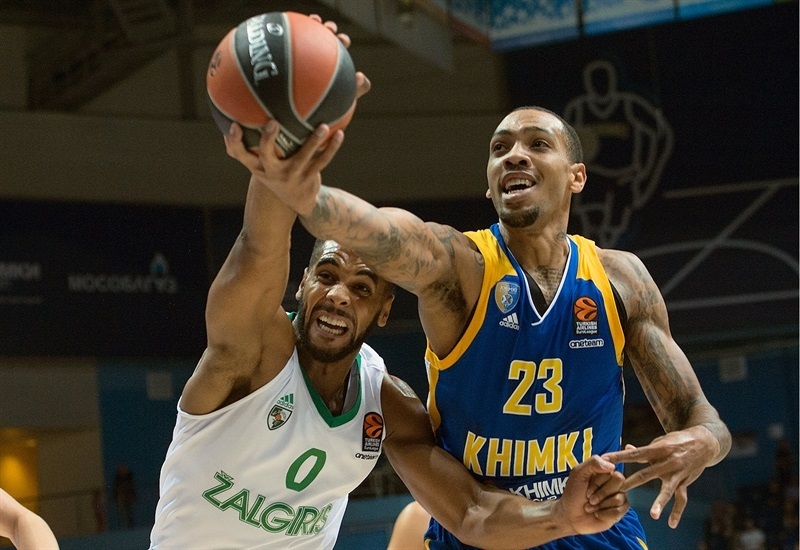 Gill and Thomas steadied the hosts with inside baskets until Shved hit the game's first triple and soon gave Khimki its first lead on a fastbreak crossover and finish at 11-10. Another Shved three-pointer plus inside baskets by Thomas and Robinson made it an 11-0 run and 18-10 difference before Toupane appeared with 5 quick points for Zalgiris as the first quarter ended 21-15. Robinson stayed strong with an alley-oop dunk and James Anderson struck from deep for the first double-digit lead, 26-15. Jankunas returned with a jump hook, but Markovic found Robinson for a dunk and Anderson drilled another triple at 31-17. Markovic was next to strike from deep, at 34-21. Vyacheslav Zaytsev joined the three-point party but White strung together 3 dunks and Zalgiris stayed within 38-31. Egor Vyaltsev and Thomas upped the difference to double digits again on the way to a 46-36 halfitme lead. Thomas had 6 points soon after the break to help raised the difference to 54-40. Gill took over from there, safeguarding the lead at 59-48. It reached a high of 13 several times before White's three-point play left a 63-53 score after 30 minutes. 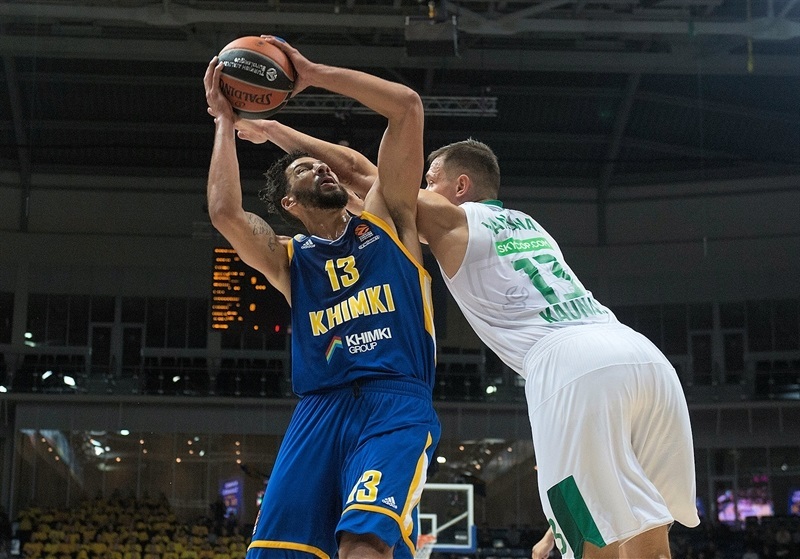 Markovic from way downtown and Robinson closer quickly gave Khimki its biggest lead, 68-53, early in the fourth quarter. After 32 minutes and 14 misses, Kevin Pangos finally made the first three-pointer for Zalgiris, then White followed with another to suddenly make it 68-60. 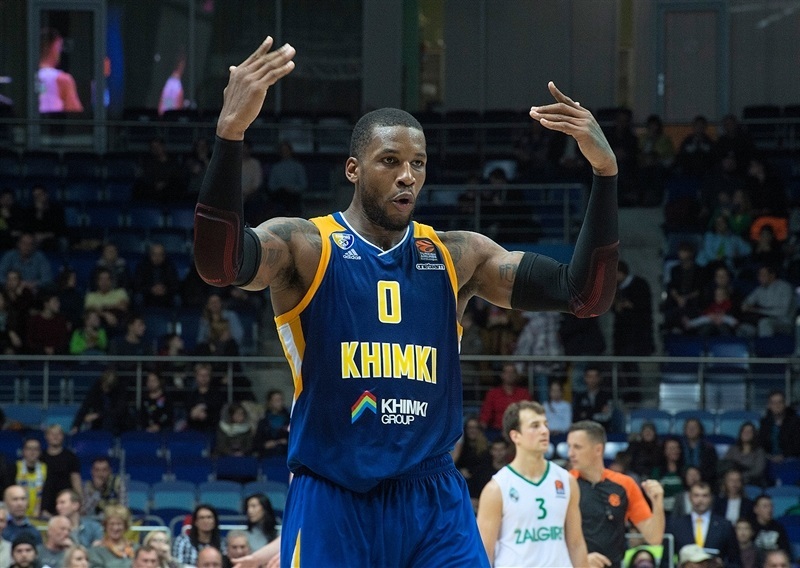 Robinson steadied Khimki with a layup then Sergey Monia hit an open three to restore command for the hosts. 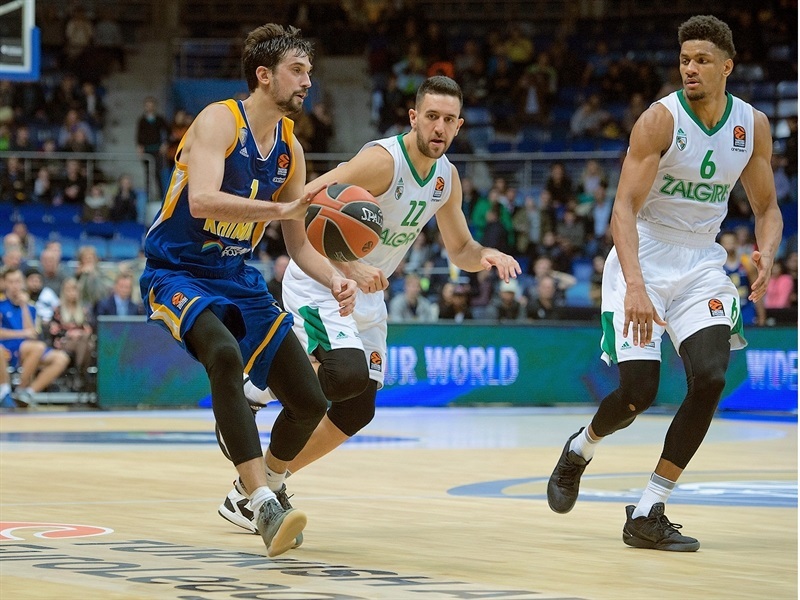 Jankunas went back to work with 6 quick points to suddenly swing the scoreboard again, to 73-66, but Monia stuck again from distance and Robinson downed Markovic's ninth assist. 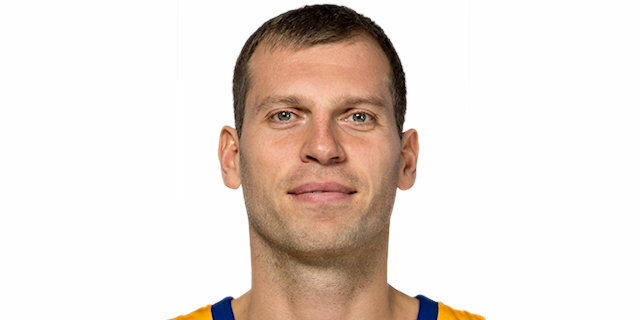 Antanas Kaviliauskas scored inside to make it 80-73 with 2 minutes left, forcing a Khimki timeout. 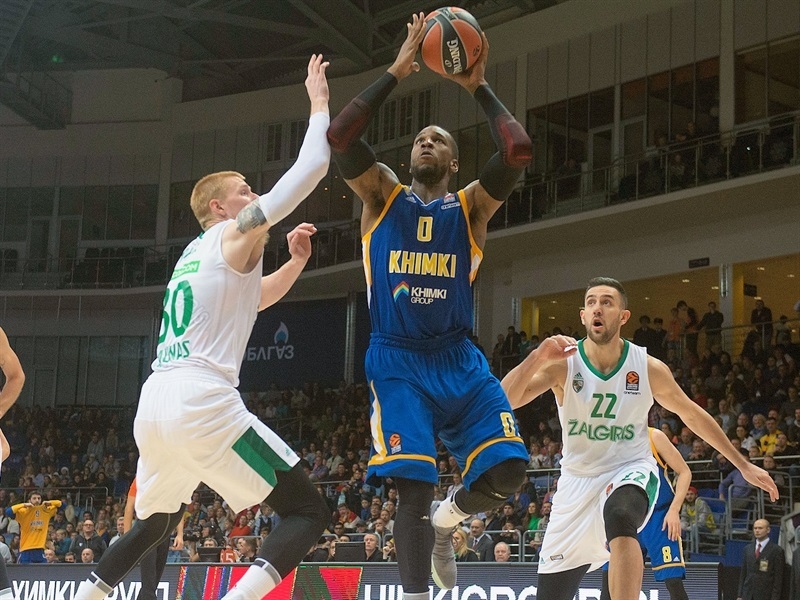 Pangos followed it with a triple at 82-76, but that was the last gasp for Zalgiris as Khimki stayed perfect at home. "I am satisfied for the win. It was a very important win. We had to protect our home court. 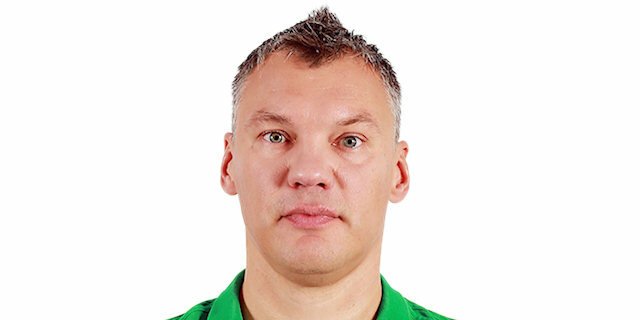 We played against a very good team, Zalgiris. They play with energy, they put pressure on the ball fullcourt, and we had to manage this. But we didn't play well. I can say that it's normal because we're a complete new team. We have eight new players, a new coaching staff and we need some time to stick together, not to rush, and to manage to have patience in the game. We didn't have patience, and that's why our victory today was really tough, really difficult, but as I said, very important. We are happy we started the season with two home wins in the EuroLeague. We have to keep protecting our home court, we have one more home game next, but we need to play better." "Obviously, the experience played a big part. 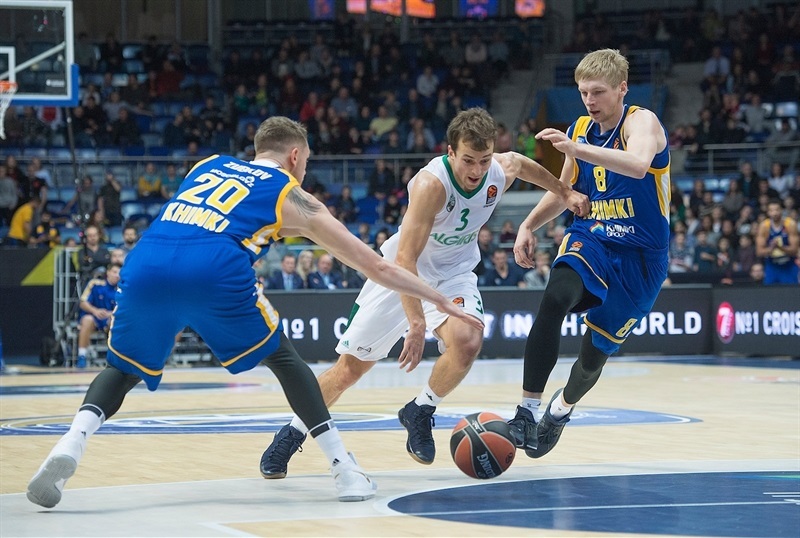 I think for us, a young and new team, these types of games at the beginning of the season are difficult, and we made too many mental mistakes to win this game on the road, giving Khimki too many opportunities, too many cheap points. This is it: we didn't follow the game plan at all." "I think my confidence is good just because of the fact that I put a lot of work in this summer. I just felt I had something to prove in my game no matter where I played this year, so that's all it goes to. And then my teammates are helping me a lot. They're hitting me anytime I set a screen and roll, and pretty much that's the reason why I'm getting these easy buckets. Of course, we're nowhere near to great chemistry yet. But they are helping me every step of the way, talking to me every second and I just feel the love here from my teammates, the whole staff and the organization, so that helps me a lot."